Schaeffler has introduced a new generation of large-size bearing housings to Australasia and are engineered to increase the life of fitted spherical roller bearings by up to 50% compared to conventional plummer block housings. 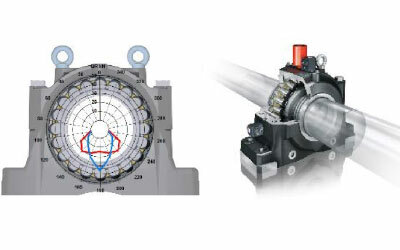 The FAG Plummer Block Housing SNS – for shafts from 115 mm to 530 mm and from 4 7/16 in. to 19 1/2 in. dia. – is designed to reduce the total cost of ownership of industrial machinery widely used in Australia and New Zealand, including machinery operating in aggressive environments. The radically extended lifespan is made possible by its housing design, which ensures optimum load distribution in the bearing, indicated Schaeffler Australia Pty Ltd Industrial Sector and Product Manager, Martin Grosvenor. The housing also provides a very high sealing action against the ingress of contamination under extreme environmental conditions, making it suitable for use in aggressive environments commonly encountered in industry. Different sealing variants allow matching of the SNS to specific environments with particularly harsh contaminant and dust conditions. 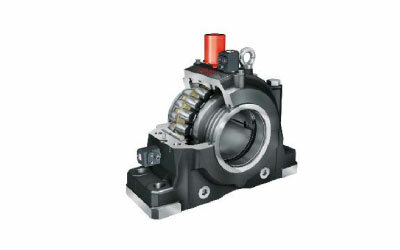 An axial lubrication groove in the upper section of the housing ensures optimum lubricant supply for bearings in every bearing position (for example, using FAG CONCEPT 8 compact lubrication system for grease and oil). The design also integrates good anti-corrosion characteristics and reduced cleaning requirements, due to inclined run-off areas as well as a projecting upper housing section. These qualities – combined with increased strength and shock resistance due to the use of (EN-GJS-400) spheroidal graphite cast iron as standard – make the SNS particularly suited to applications in industries, such as mining and energy, oil and gas processing, materials handling (including port loader facilities), manufacturing and steel, primary product and food and beverage processing, pulp, paper, packaging and forestry, and major infrastructure and water and waste water plants.